In the UK, around 10 million people suffer from arthritis. It can affect people of all ages. At Nutrabiotics we have developed a high quality, pharmaceutical grade joint support product, made from natural ingredients to help support those that suffer from joint and mobility issues. With an extensive flow of independent trial data, our unique patented boswellia extract with turmeric curcumin complex combine to act with the body’s own natural anti-inflammatory processes to provide fast acting joint support, which can be used long-term without any side effects. The recognised pairing of glucosamine and chondroitin provide the perfect base ingredients as they help maintain the structural component of cartilage. Along with glucosamine, chondroitin sulphate has become widely used for the treatment of osteoarthritis and other joint issues. Why fast acting helps retailers? Due to the unique formula of our joint supplements the benefits are often seen within 7 days. This improves retention and repeat business for retailers as the customer is more likely to return and continue to use the product. 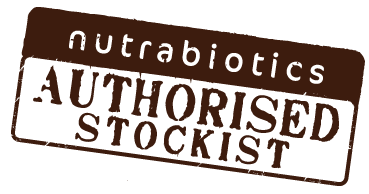 Nutrabiotics produce 100% natural supplements that are manufactured in the UK to the highest quality. 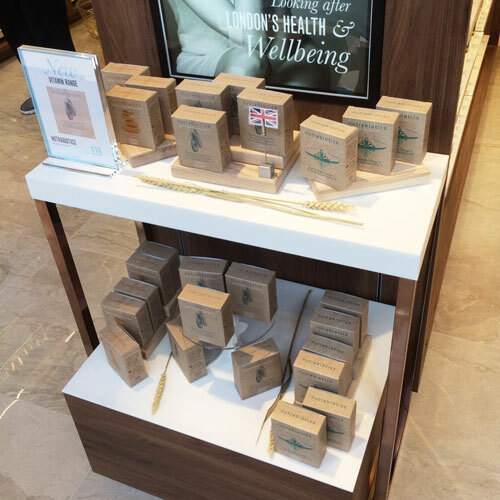 Our products are developed based on the latest research and made from the highest quality natural ingredients. Due to the natural ingredients there are no unwanted side effects, which are often associated with drugs. They’re available directly off the shelf where the natural look and feel is reflected through the packaging. Part of the charm of our product is the tactile nature of the packaging that stands out against other supplements on the market. The majority of supplements take a cost based approach to packaging and use a standard plastic bottle with a label. We believe that the packaging of our product is one of its key selling points due to the natural look and feel reflected through the recycled packaging. Nutrabiotics products also benefit from being contained within blister packs which maintain the integrity of the ingredients and prevents contamination. Our joint product offers great value to consumers as they can feel the benefit quickly. We also offer excellent trade prices where retailers can benefit from good margins, allowing you to make a good return on the product. 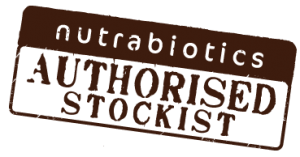 Nutrabiotics produce 100% natural supplements that are manufactured in the UK to the highest quality. Our products are developed based on the latest research and made from the highest quality natural ingredients. From joint support to healthy weight loss, it’s our aim to help you maximise a healthy lifestyle, so you can live life to the full. We’re proud to be a privately owned British company manufacturing in the UK and one of the few companies in the UK who will guarantee their label claim by stating the percentage purity (%) of our key active ingredients so you can be assured of consistent product quality and efficacy. Once approved you will then be able to log in to this website and purchase our product range at your discounted reseller price.